JEPIC has been conducting bilateral seminar programs with electric utilities in ASEAN countries under strong support from electric power companies in Japan. The purpose of the program is to strengthen business infrastructures of the electric utilities in ASEAN countries, such as technical basis, management and human resources development. JEPIC and Vietnam Electricity ("EVN") launched their bilateral cooperation programs in FY1998. The first seminars in Viet Nam and Japan were carried out in FY1998 and FY1999 respectively. 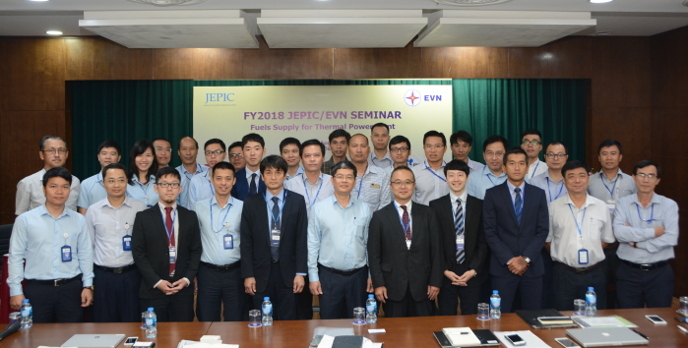 Since the initiation, JEPIC and EVN have held seminars every year in Japan as well as in Viet Nam. Mission Member from Japan ： 2 experts from Kyushu Electric Power Co., Inc.
2 experts from JERA Co., Inc.